It has been quite a while since I updated here due to a busy few weeks filled with exciting conferences and things, so a number of blogs will appear in quick succession. 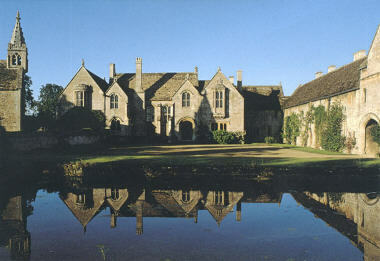 The first is going to concern itself with a visit I paid to Great Chalfield Manor, a National Trust property in Wiltshire. The property has aspects dating from before 14th century, however, the main façade was built between 1467-80 by Thomas Tropnell. I felt the need to blog about my visit as unlike most of the properties I have visited from this period and earlier (including Knole and Penshurst) the building did not fit with my “spatial grammar of expectation”. The building is laid out with a central great hall and flanking wings to left and right, when entering the Great Hall it appears like any other, entering through the screens passage at the lower end of the hall. At the upper end there is a small vaulted/ groined room as at Bodiam, Penshurst and Ightham and above the solar or Great Chamber. It is the other wing at the lower end of the hall which confuses me. I had assumed that the two doorways would take you through to the servants quarters but in this case no. Instead you are brought through to a dining room/ parlour with another set of private chambers apparently for the family. This has been explained through the changing fashion for eating privately instead of communally, I just find the idea of the rooms for this to occur being placed at that end of the hall bizarre. The whole experience of visiting has opened my eyes to the changes in building fashions that occurred not long after Bodiam was built and how my expectations may bias my views of visiting contemporary buildings as a whole. 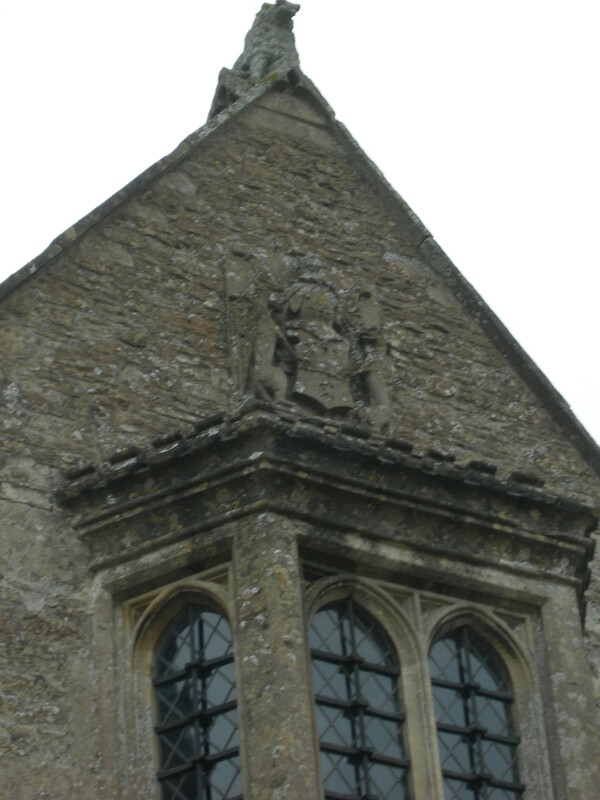 This was my first intrigue for visiting the building, the next returns to my thoughts on ornamentation that I have discussed in reference to Ightham and Bodiam. 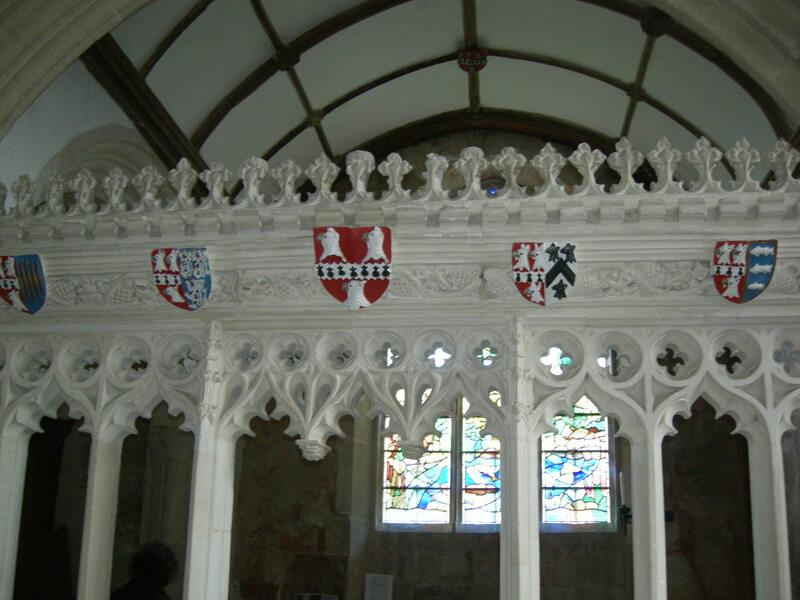 Like at Ightham the family heraldry features prominently both in the buildings architecture but also in the adjoining parish church. The building also had a series of other interesting engravings. 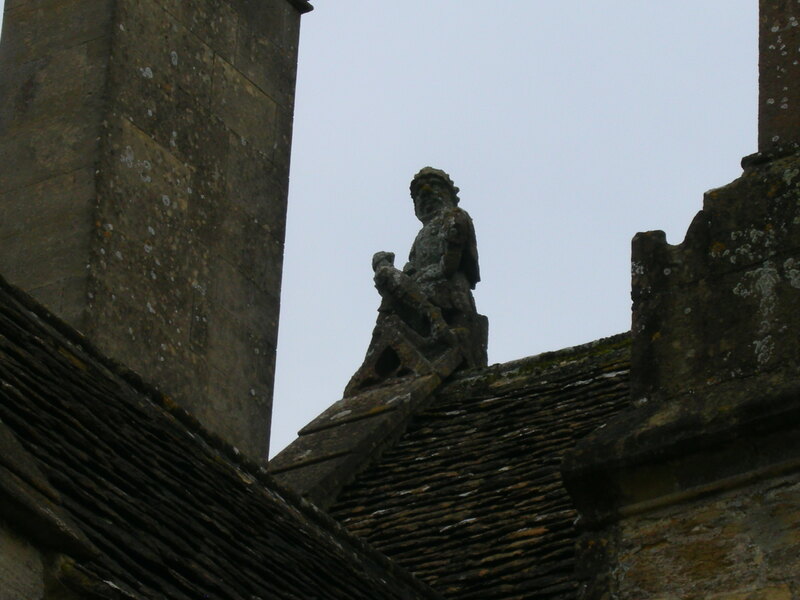 First on the outside of the building not only are there faces in some of the stonework as at Ightham but there are also complete figures balanced on the rooftop. Internally there are more interesting engravings. The Great Hall features some beautiful squints which face the head of the room. These are engraved to resemble faces, one which hides above the modern minstrels gallery laughs at the high end of the Great Hall, the other two, also mocking, feature a Bishop with his mitre facing the wrong way and a king with asses’ ears. These bring back memories of the faces at Ightham Mote and mocking the high end of the table. All together the trip was interesting, I think I will need to visit again and hopefully collect some photos of the interior, but it brought into question my understanding of the spatial grammar of the building as well as offering likely comparisons for my thoughts on architectural ornamentation.